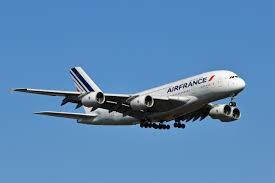 Air France has been using guerrilla marketing to promote new business class cabins. Every passenger hopes to get a free upgrade to business class when flying, but just what do you have to do to get one these days? Thanks to Air France’s campaign, now you just have to be good at mobile games. To promote its new business class cabins in Asia, Air France has embarked on an innovative guerrilla marketing campaign. The airline created a social game – Cloud Slicer, which travellers were invited to play for a chance to win a free upgrade to business class, just prior to boarding their flight to France. Over 400 passengers at the boarding gates of Singapore’s Changi Airport and Japan’s Kansai Airport near Osaka, were invited to download and play Cloud Slicer, in which they had to swipe the screen to cut up clouds. Passengers played against each other during their 15-minute wait before boarding, and at the end of the 15 minutes, the top fifteen scorers in Singapore and the top six in Osaka were instantly upgraded to the new business class cabin, while the runners-up won seats in premium economy. Scores were displayed in real-time on three large screens located at the boarding gates, and the winners received their new boarding passes from the pilot himself. The success of the guerrilla marketing strategy let to the competition being extended to a regional level. All Air France passengers flying from China, Hong Kong, Singapore, Indonesia or Japan can now compete against each other, and the best scorers of the month in each country will have the chance to be upgraded on their next flight to Paris. The standard procedure for flying is to arrive at the airport one to two hours early for check in. As a result, we usually end up sitting at the boarding gates for around an hour. Air France’s guerrilla marketing initiative is a great way to use digital and mobile to engage with customers and make use of the time they have before boarding – time where people are likely nose down in their devices anyway. And the carrot at the end of the stick is something of high value to passengers, as they are already thinking about the ensuing discomfort of a long flight. It’s a great, simple and relatively low cost campaign and is the kind of thing that would set Air France apart if it became a permanent part of the brand experience.